Artificial Intelligence or machine intelligence is a computer-based scientific field of study that attempts to mimic natural human intelligence. With Artificial Intelligence, a simple machine is able to learn and think. So what does all this computer intelligence have to do with building and improving the brand awareness for a regular business? A lot in fact! Especially when you consider the era that we living in where global technological advancement has forced businesses to shift from being just present in a physical store address to being present online. Pushing a business’ presence online can improve brand awareness and connect with more target customers within the locale of the business. It can also reach out to a wider target audience who are outside the physical locale of the business that would love to have the products or services of the business. With the need to keep up with the ever demanding responsibilities that come with managing the online presence of a business, Artificial Intelligence has now become very relevant in easing out these responsibilities while trying to increase general brand awareness so that the brand can grow. Consider these seven ways to use Artificial Intelligence to improve brand awareness. Long before Artificial Intelligence (AI) became a thing in digital advertising, digital marketing platforms were treated like the traditional advertising platforms – the only difference being that it was digital. There was nothing like ‘intelligence’ to enable you to understand how people behave on a website, or social sites or even search engines to determine how best to display targeted adverts that would yield more results. Now all that is history. Large to small brands can now use Artificial Intelligence to understand how their customers behave on their website to determine the kind of adverts that should be targeted to them. 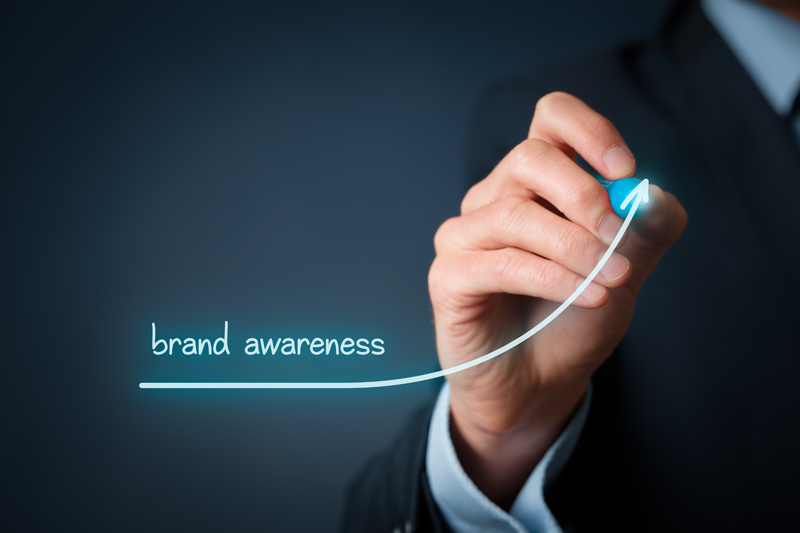 The essence of brand awareness is not just to ‘make noise’ online. Rather it is about making the right noise that will help brands grow. Whether alone or with the help of a digital marketing agency, brands can now use Artificial Intelligence to create adverts that would increase awareness about their brand. It might sound or feel weird when a machine is able to predict possible issues that consumers might have ahead of time and is able to provide the perfect response to resolve such issues. With this, brands can breathe a sigh of relief knowing that if they have one million customers to attend to in a day, customer care chatbots are well equipped to handle most if not all customer related issues timely and efficiently. With Artificial Intelligence, customers can have their own personal customer care assistant rather than having to wait on hold for the next available customer care representative. Waiting on hold is usually a very annoying long and almost endless wait which can put customers off. Brands that can keep their customers satisfied and improve the shopping experience of their customer are silently raising an army of foot soldiers that will broadcast and hype the brand to their friends and family. Artificial Intelligence can help brands understand how people interact with websites so that they can create a better user experience for their customers and visitors. Brands can create better product catalogs, suggest relevant products and predict products that each customer would have an interest in. Improving the overall customer experience, starting with the brand’s website, would definitely boost brand awareness. Understanding the brand’s target audience is important to the growth of any brand. According to research released by Harvard Business Review, quite a number of businesses are implementing Artificial Intelligence technology to improve their understanding of each customer. With this, brands can get to know their customer one-on-one rather than just in groups. While these advanced AI technologies might not be affordable to smaller brands for now (due to cost-efficiency issues), it is definitely something that is worth investing into in future. There is no easier way to sell to a person than to sell to their exact need and this is what Artificial Intelligence provides insight on. On some levels, the Artificial Intelligence embedded in websites, social sites and big digital advertising platforms like Google can give brands some of this knowledge about their customers. Brands that pay attention to their customers will gain more insights about them, how they view the brand as well as their products or services. All of these insights, if actioned, can help the brand know which areas they can improve on in order to grow and serve customers better. Brands can create multiple channels on social site and be active on all these channels to closely monitor, track and analyse the different views, good or bad, that people have about the brand online. Content is always going to be a part of any brand with an online presence. It will always be present on all selected communication channels and will always be present on the brand’s social media platforms as well as on the website. Artificial Intelligence gives brands the opportunity to create user-specific content that will generate more results for the brand. Brands can get a better insight into the kind of contents that their target audience will find relevant and engage with. With the right contact, brands can build a strong emotional connection with their target audience. The rise of social media has given people a perfect place to launch their ‘personal’ brands. But it has become increasingly difficult for companies to pick the perfect personal brand that will increase awareness about their business. Artificial Intelligence gives companies the opportunity to look beyond figures on the accounts of these personal brands. Rather, it enables companies to understand the followers of these personal brands and gain better insights into how these followers interact with these personal brands. Armed with this knowledge, companies can then make a decision as to whether these personal brands would be perfect for increasing their company’s brand awareness.